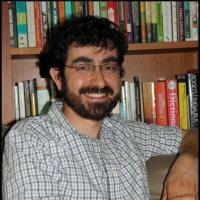 Mustafa Tuna (Ph.D. 2009, Princeton University) is Associate Professor of Russian and Central Eurasian History and Culture in the Departments of Slavic and Eurasian Studies & History at Duke University and is affiliated with the Duke Islamic Studies Center and the Duke Middle East Studies Center. His research focuses on social and cultural change among the Muslim communities of Central Eurasia, especially Russia's Volga-Ural region, Central Asia, and modern Turkey, since the early-nineteenth century. He is particularly interested in identifying the often intertwined roles of Islam, social networks, state or elite interventions, infrastructural changes, and the globalization of European modernity in transforming Muslim communities. His first book, titled Imperial Russia's Muslims: Islam, Empire, and European Modernity, 1788-1917, is published by Cambridge University Press in the "Critical Perspectives on Empire Series." His second book project, titled Said Nursi's Path of Light: Faith, Practice, and Spirituality in the Works of a Twentieth-Century Scholar of Islam, aims to establish the relevance of the teachings of Said Nursi (1878-1960), a Kurdish scholar of Islam from Turkey, in negotiating the changing modern world's challenges for Islam and Muslims. He also investigates the transmission and evolution of Islamic knowledge and practices comparatively in the Turkish and Soviet contexts in preparation for a third monograph. Dr. Tuna is married and has two sons. Mustafa Tuna's research focuses on social and cultural change among the Muslim communities of Central Eurasia, especially Russia's Volga-Ural region and modern Turkey, since the early-nineteenth century. He is particularly interested in identifying the often intertwined roles of Islam, social networks, state or elite interventions, infrastructural changes, and the globalization of European modernity in transforming Muslim communities. His first book, titled Imperial Russia's Muslims: Islam, Empire, and European Modernity, 1788-1917, is under contract with Cambridge University Press to be published in the "Critical Perspectives on Empire Series." And his second book project investigates the transmission and evolution of Islamic knowledge and practices comparatively in the Ottoman/Turkish and Tsarist/Soviet cases.